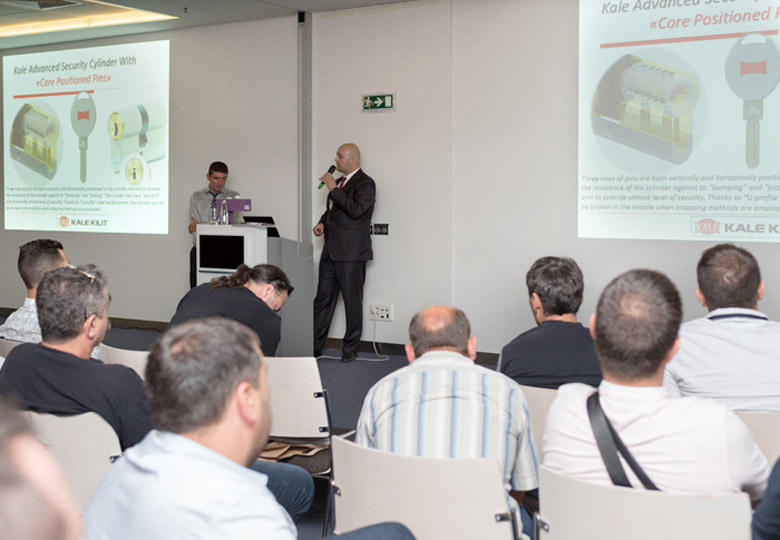 On July 6, 2017 in a nice and cozy atmosphere, Kara-Ka and Kale Kilit held a seminar on the topic Innovations in the locking systems. During the event, which took place at Novotel Sofia, the two companies, which are leaders in the business with door and window accessories and supplies, presented the new products and services in their portfolios. A representative of Kale Kilit with extensive experience and expertise in the sector of locking mechanisms was a speaker at the event. The new metal and aluminum doors and locks in our catalogue attracted tremendous interest among our guests, and we were more than happy to answer all of their questions, and to develop strategies how to solve their most common product-related problems. After the presentation a nice sitting dinner took place. We even had Vyara Atova as our special guest and performer. The talented singer amazed everyone with her unique voice and surprises for all winners at the raffle, which was specially designed for the event.